Natsume's Hiro Maekawa Talks Harvest Moon, Switch And Making "Everyone Happy"
Natsume is a publisher famous for its Harvest Moon series, which has now racked up more than 30 entries across a variety of systems and continues to sell briskly all over the world. However, there's been quite a bit of upheaval within the company of late, and boss Hiro Maekawa has been speaking to GamesIndustry.biz to explain how Natsume has overcome its recent issues. 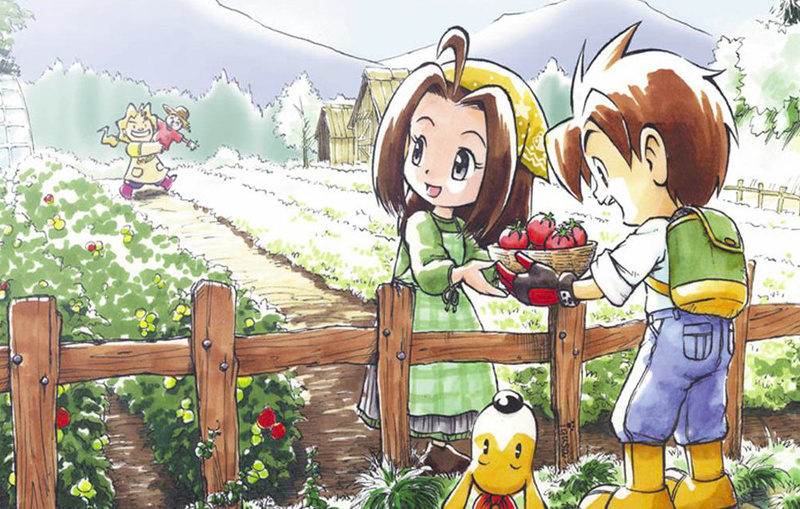 Harvest Moon has been Natsume's cash cow ever since the game launched on the SNES, but the company only ever acted as a publisher in the west; the game itself was developed by Victor Interactive Software under the name Bokujo Monogatari. Victor would eventually be snapped up by Marvelous but the partnership continued until 2014, when Marvelous opted to publish Bokujo Monogatari under its XSEED label in the west. That resulted in the birth of the Story of Seasons series and left Natsume with the Harvest Moon name - but no game. That was a big surprise to us, especially to me. It was a really scary thing to me because we'd spent time and effort to establish a no-name farming simulation game to become one of the best-known farming simulation games for the entire family. We had tons of loyal Harvest Moon fans, but we couldn't simply say to those loyal fans that there's no Harvest Moon in the future. Fortunately, we learned and accumulated lots of know-how as to what Harvest Moon fans like and what makes them happy by localizing and publishing Harvest Moon games for the past 16 years, so we took that goodbye as a good opportunity for us, based upon our own experience, to take this franchise to the next step so we could continue to make all Harvest Moon fans very happy. Nintendo has now shifted their energy to Switch. At this point, I don't think they are interested in DS titles. And our customers aren't interested in DS titles either. They are losing their interest in 3DS titles as well, simply because of Switch. Everybody's talking about Switch, Switch, Switch! So Switch will be not only the next big handheld, but also a console platform. Either way. ...everywhere there's fighting or blood, really aggressive games. When you stop by our booths, I assume you'll feel like this [gestures to the happy characters on a nearby Harvest Moon poster]. I like to be in that position, so that means non-violent games. Natsume is probably known most as a non-violent, family friendly company, and I don't see many other companies making games like this. Therefore to us, we feel like we have less competition. Of course we have competition like Stardew Valley or Farmville, but this non-violent genre will remain very strong, I think. This company's philosophy is to make everyone happy. Everyone means Natsume employees, and our customers, which means our development partner, our distribution partner, financial institutions, of course Nintendo and Sony's first-party teams, and anybody who is directly or indirectly connected with Natsume products. We are trying to make them very happy. To make them happy, this company has a code of conduct I keep saying to my employees. Whenever you make some decision, follow the code of conduct. When you try to sign some agreement, put yourself in the position of others to think about what to do. Don't try to get everything from them. Put yourself in their position and ask what they think. Do they think what you're offering is fair, or do they think you're so greedy? Put yourself in their position. Are you a Harvest Moon fan, or has your allegiance shifted to Story of Seasons these days? Let us know by posting a comment. Brb gonna go let my dog maul the mayor to death. After I attack him with my own weapons. I don't have high hopes for Light of Hope. I've moved onto Story of Seasons for now. You'd think they'd at least jump on the bandwagon of HD remakes and remake some of the old, more enjoyable Harvest Moon games like Friends of Mineral Town and A Wonderful Life. @Xaldin I'd guess that'd be up to Marvelous, not Natsume. If i have the time ill play both to see whats better. The new story of seasons and harvest moon. For some reason im not interested in stardew valley though i think it looks pleasing. Story of sesons seems to have much more positive views. Im really looking forward to see it for myself. I wouldnt mind a (violent) harvest moon like rune factory. The tone of the game is important. I still think of rune factory as family friendly. No harm done to the monsters anyway. Theres no place like home. If you ever get a chance to interview anyone making the next Story of Seasons game, please ask if there are any plans on a new Rune Factory game, that is by far what I'm most interested in regarding these kinds of games. @Meowpheel I wasn't totally sure how many rights Natsume has over the series. 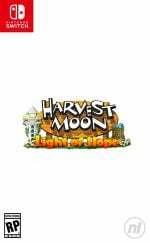 Are they only able to call their games Harvest Moon, but if they create a game that resembles an old Harvest Moon game or use old characters they'll get sued for using copyrighted material? Stardew Valley is one of my most anticipated Switch titles right now, to the point where I'm checking almost daily for a release date. That said, Light of Hope certainly seems promising, and I'm more than willing to give it a try if reviews are fair. I'm looking forward to Harvest Moon Light of Hope, Story of Seasons Switch, Stardew Valley, and Picontier. Love these games! I haven't been a fan of the Harvest Moon games since the change but it's good to see them acknowledging Stardew Valley as a competitor. Hopefully they'll take a few pointers. @Xaldin Maybe! I honestly don't know. For all we know they both could be stuck in a remake-less limbo. My main assumption is that Natsume holds the right to republish the old games (virtual console), but remakes would be entirely on Marvelous. @MegaTen Me too. Also S.C.A.T and Abadox! Story of Seasons are definitely better games but I find myself bored by them. The format has gotten stale, the characters are bland. Harvest Moon: Lost Valley wasn't great but it was different, something new. I haven't played Skytree Village or the newest Story of Seasons though. Stardew Valley got it right. It had the right amount of complexity, the right amount of story and character interaction, the right amount of crafting and customization, and it even looked nice despite being a 2D game. I would definitely recommend Stardew Valley if you like this kind of game. Even if the next Harvest Moon turns out to be good, Stardew Valley is still one of the best games in the genre, if not the best. Natsume, I will always know you and love you for your violent games like the aforementioned Shatterhand and Shadow of the Ninja, as well as Ninja Warriors Again. Oddly enough I feel like this interview shows that Natsume has the best grasp of the current landscape. The popularity of Switch, acknowledging its hybrid purpose, the twilight of 3ds...still cautious about their games though. I'm hoping the new HM will be decent just because it will be on switch which will put it over SoS (I love SoS but my 3ds just isn't getting the required playtime). At least I will have something to play while I wait on Stardew (that game should not be that good, played it on a whim...need it for the switch so badly). To me any Harvest Moon game after A New Beginning is only Harvest Moon by name, The Natsume made HM games resemble Minecraft more than HM. I still play a wonderful life on the gamecube the odd time. God help me if I ever lose that save file cause the taught of going back to the start after 15 years or so with the one save. I've never played any game of the series, but if they put couch co-op on the Switch title; that would make it a must but for me. Weird to hear them say not many companies make non-violent games when such games (not farming; I mean general) have been all the rage on PC since 1989 when SimCity came out. It probably isn't the first game, but it sure was a huge success and helped paved the way for the simulation genre. The genre is largely non-violent where you run theme parks, zoos, businesses, etc, etc. In fact, the genre is still thriving today, although I don't think today's games are generally as good as the older titles. I dunno about the console front, but non violent games are very profitable on PC. We need another Pocky & Rocky games along the line of the first one on the SNES. Would be a great fun co-op on the switch. Story of Seasons, Harvest Moon or Stardew Valley, the best reviewed will be mine. @The__Goomba Why this myth continues I'll never know. Other than blocks, the HM series has very little to do with Minecraft. I think Natsume also created Phone Beast Telefang. It seemed like a decent game, I wonder why they never translated it, letting bootleggers do a pretty infamous job of it. Except the new Harvest Moon games that Natsume makes are just so so godawful. They remind me of free2play browser and mobile games. At least the real games are still coming West as Story of Seasons. The first SoS wasn't the best in the series because it didn't have enough storyline goals to work towards, but Trio of Towns is excellent. SNES POCKY & ROCKY 1&2!!! Cmonnn!!! I want a game like A Wonderful Life and Magic Melody, except further in concept. I loved how in A Wonderful Life you could start a family, and see it age, and such. That was really cool. It would have been cooler if we could have continued to play on as the child. @Freelance I didn't mean the gameplay I meant the actual look of the games. @The__Goomba But it doesn't look like Minecraft either. You can't even make buildings in HM. In Minecraft, everything is made of blocks. Only the ground in HM is made of blocks. @Xaldin my Lord an HD remake of Friends of Mineral Town MUST be in their repitoire. @detectivedan The best recent ones is Story of Seasons Trio of Towns and Harvest Moon Tree of Tranquillity on the Wii.